We are a leading Manufacturer & Exporter of Customized Engineering Solutions such as Copper Oxidation Solutions and EFB Based Power Solutions from India. We are well reckoned for providing highly effective and reliable Customised Engineering Services Our offered services are known for excellent designing precision and hassle free installation, owing to their rendering being done by highly skilled professionals. with the use of high-end technology and techniques, we provide uttermost assurance for effective in-time completion of service. Kinc designed and supplied Bharat's only rotary kiln based lead recycle plant in 2012 having capacity of 5tph. Lead recovery up to 90% from waste battery. Also we supplied furnace based project from 1tpd up to 5tpd. Kinc designed and supplied copper oxidation plant which produces copper powder of 300# from waste copper wires, bars, etc..
Kinc designed and supplied indirect firing type manganese roasting plant which convert manganese dioxide to manganese oxide having capacity of 2tph. 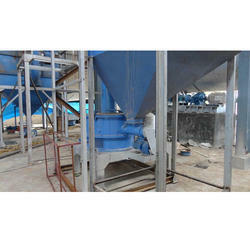 Kinc designed & supplied 40tph EFB washing, drying, shredding & briquetting project in Malaysia. 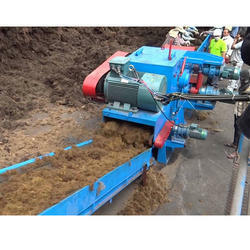 EFB are the main source of biomass that could be utilized by the power plants as this is more readily available in the market. Many plantations use a small amount for their own internal use, but a large portion is put aside, either biodegrading into compost, or at times burnt to avoid space loss by storage. Therefore, there is a substantial amount of EFB left unused. Each fuel has its own chemical and physical properties that need to be carefully understood in order to develop adapted design for feeding and combustion. Palm EFB is no exception and an especially difficult fuel as you can see in the results of the comparison with common fuels. Looking for Customized Engineering Solutions ?